For superior fluid compatibility and temperature range, select the ProRace hose. Its specially formulated CPE synthetic inner liner is embedded with a partial-coverage stainless steel inner braid, and then bound together by a full-coverage stainless outer braid. 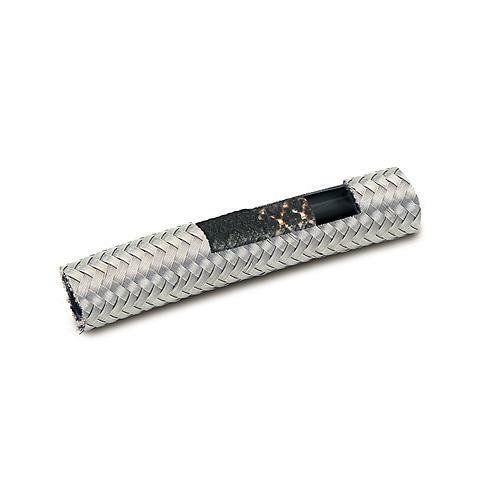 This combination guarantees the optimum in bonding characteristics, while maximizing hose flexibility. The flow rate is consistent throughout the operating range from -40 to +350 degrees F.